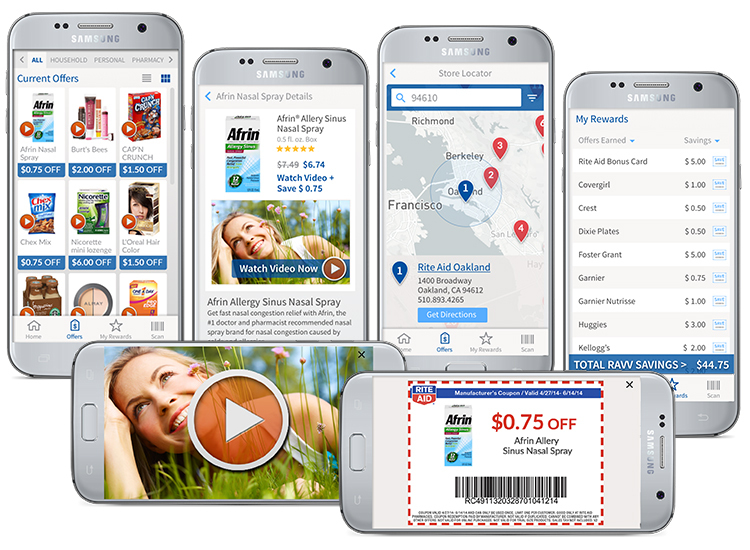 Rite Aid wanted to see how their Rite Aid Video Values campaign would work via a mobile app. Here are the screens for locating a nearby Rite Aid store, finding current offers that are available, learning about the product, watch the product’s video, earning your coupon to scan in store, and then keeping track of your rewards all on your mobile phone. This App offers everything Video Values offers on the website, we just make it easier for viewers to earn rewards on the go, away from their computer.